We love Cool Sites! Submit Your Women's Triathlon Site Info and We Can Exchange! Have a question about running or racing? Then ask Coach Jenny, of Runners World Magazine your women's running questions. 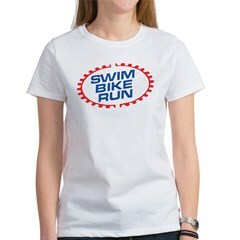 Women's Triathlon Links-We gathered some links that pertain to the women's side of this category. Swim Bike Run! It's as simple as that. CWW triathlon-Training for the novice woman triathlete. Flower Power Sports-training women to play hard. Her Tri-multisport magazine for women, about women, by women. Iron Girl-to empower women toward a healthy lifestyle! Ironwoman.org-directory for training in swimming, biking and running. Running in the Bike Lane-Triathlons from a girl's perspective. Team Estrogen-tri and fitness apparel. Team USA-official Olympic Team News. Tri Divas-brings the sport of triathlon, running, cycling and swimming to women of all ages and ability levels. Tri Find-find tris in your state. Tri Find.Net-Find Tri Races by State. Tri Newbie Triathalator-Triathlon Tips for beginners. Tri the World Travel-the Endurance Athlete's Travel Agency. Women's Triathlon Calendar-national multi-sport race calendar, women only. GetSetUSA.com-Get information about running, walking, triathlon, duathlon, cycling, mountain biking, and other sports by selecting a state. Tri Find.com-find tris in your state. Training For Your First Triathlon -Open water Swim Tips. Beginner Triathlete-info on the swimming leg for beginner triathletes. Open Water Swim-from Hula Man. Open Water Swimming Tips for Triathletes-Overcoming Your Water Fears.